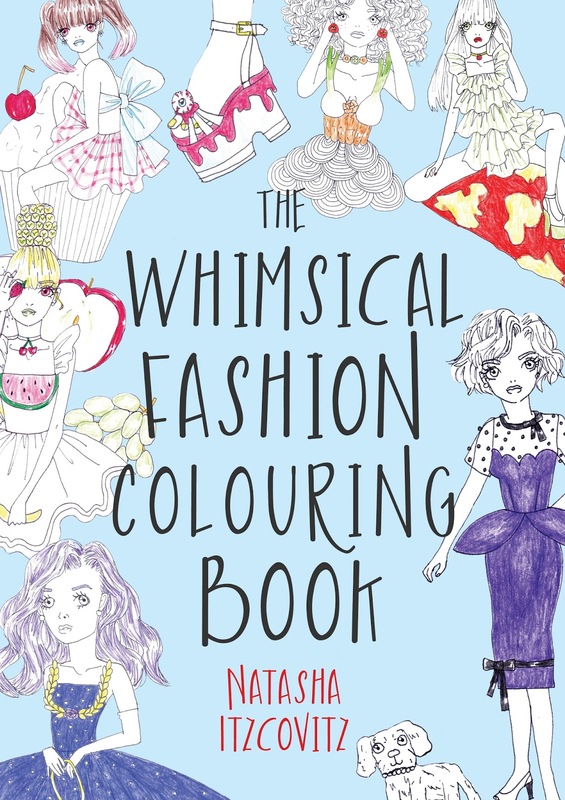 There's a fabulous new colouring book out now, it's The Whimsical Fashion Colouring Book by fashion designer Natasha Itzcovitz, which is created in the style of Iain R. Webb's Vogue Colouring Book. 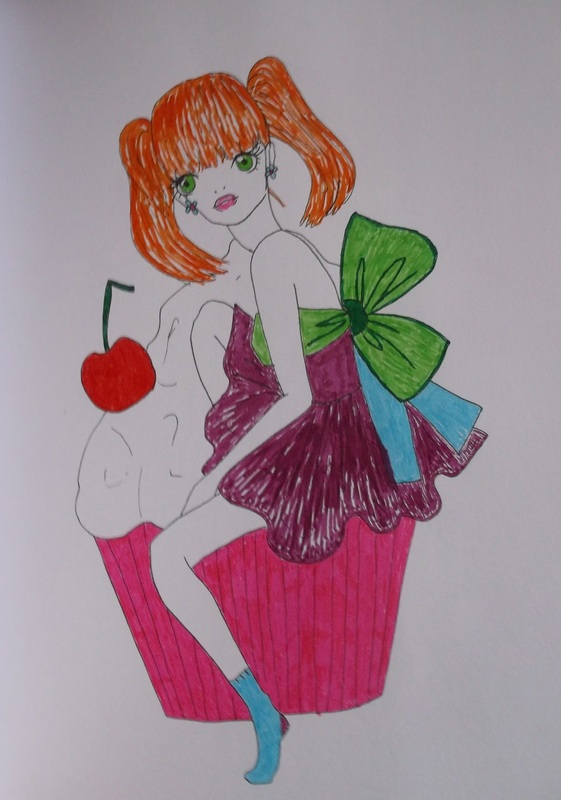 I love colouring. I have several adult colouring books and they are one of my favourite ways to relax and to let my creative side take over. 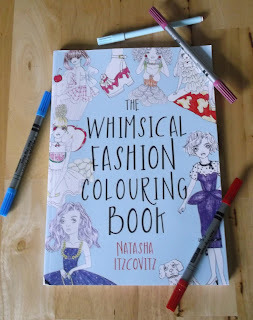 Itzcovitz's book is a lovely addition to my collection and I know that I will thoroughly enjoy colouring in every single page. 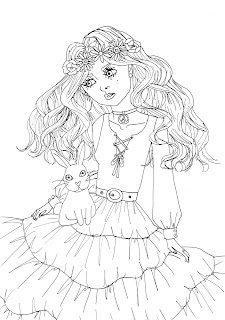 The illustrations are gorgeous! 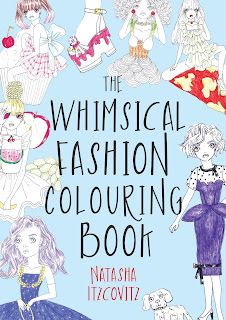 This wonderful colouring book has 100 hand-drawn fashion illustrations that will surely spark the imagination of every budding fashionista out there. It's also great for us who love fashion, fantasy, or just love creative, beautiful things. It's a fun book and it's drawn with great detail, which just adds even more enjoyment. This book is a real treat! Here are two of my pages that I've coloured in so far. 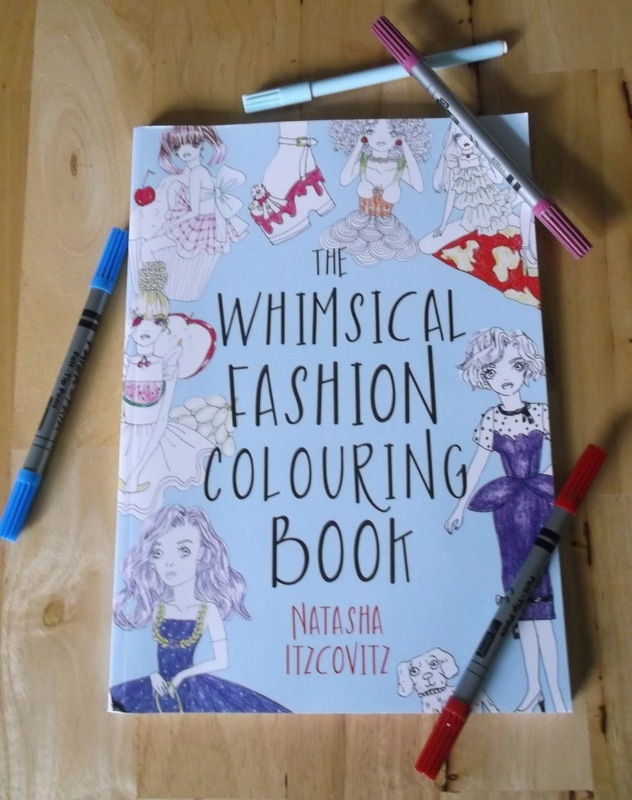 Natasha Itzcovitz, fashion designer and creator of this lovely colouring book, graduated with a degree in Fashion Design and draws upon her expert skills to create something truly enchanting. 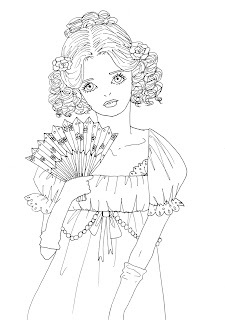 She has created a world of beautifully quirky outfits which follows fashion through the ages, from famous fashionistas, including Marie Antoinette and Jane Austen. 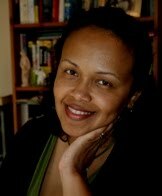 She also puts the spotlight on hipster street styles and boho chic. 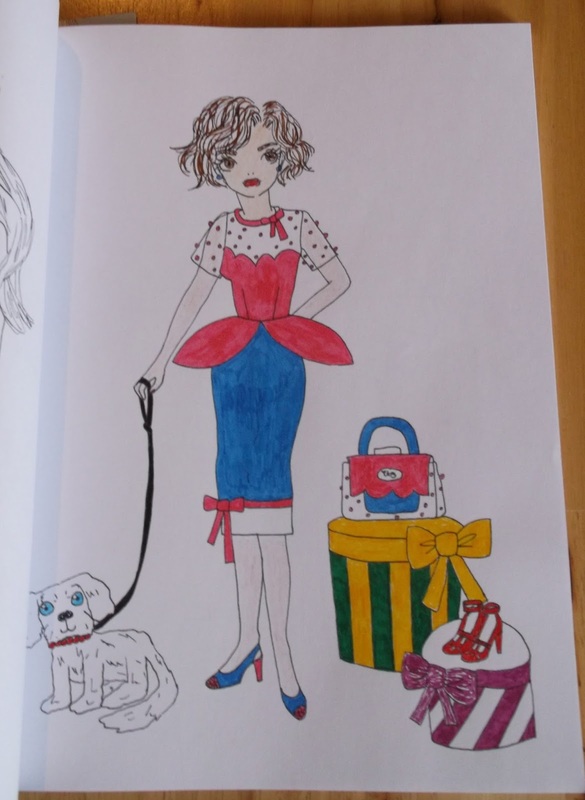 The Whimsical Fashion Colouring Book is a great expression of Itzcovitz's creativity and I think that it will inspire the creativity of others. 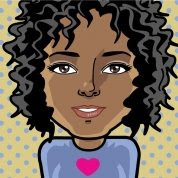 I know that it has done this for me. 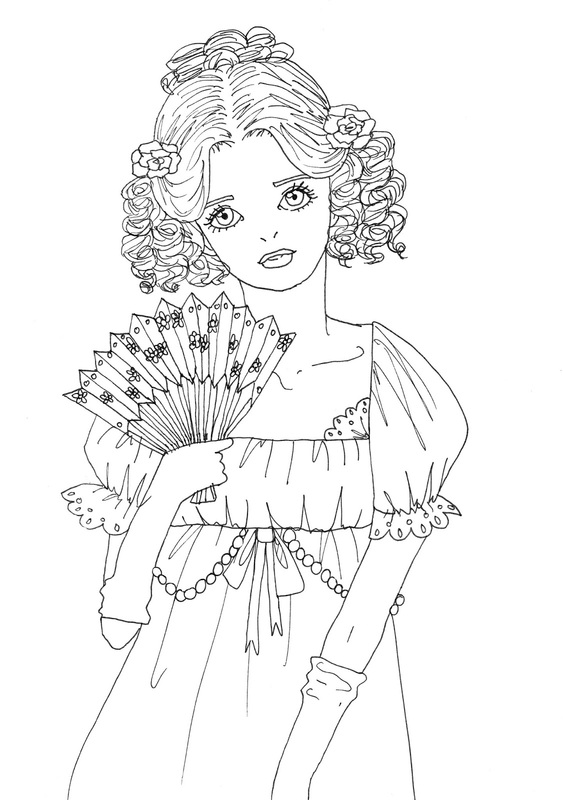 I look forward to seeing the book once I have coloured everything in. It will definitely be a keepsake for me.